Now through September 17th, you can do something a little different with your lunch break thanks to the DC Shorts Film Festival. 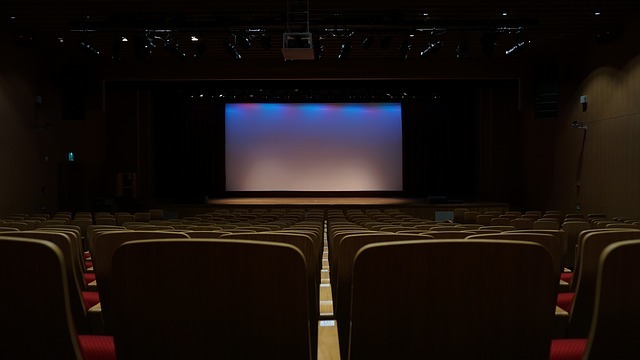 It's showcasing 19 short productions (all 20 minutes or less) by local filmmakers at the E Street Landmark Theatres over your lunch break, and tickets are free. The free lunchtime show is just one of many ways that you can participate in this year's DC Shorts Film Festival. On Thursday, September 14th, come to Farragut Square at dusk to see short films from Germany, Japan, and the U.S. Again, this screening is free, so no need to bring cash—just a blanket or chairs. You can also check out special screenings over the course of the festival at various venues (ticket prices vary). They cover all kinds of topics, from the struggles of the LGBT community to the 150th birthday of Canada, so there should be a short that speaks to you.